the mother road. chapter 1.
summertime is upon us. 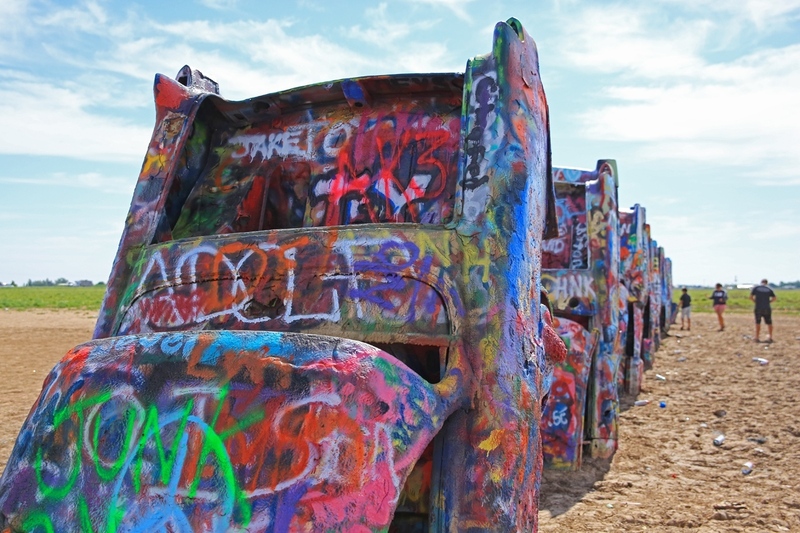 it’s the time of year when we all start dreaming of the perfect road trip. the quintessential family vacation. 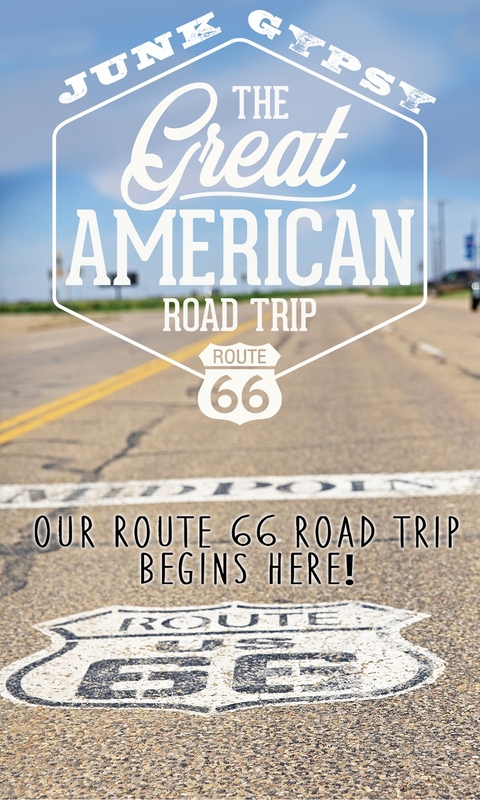 and for those in the market for a great american roadtrip, we’re here to help. because y’all, we took what we feel like was the roadtrip of a lifetime last year. 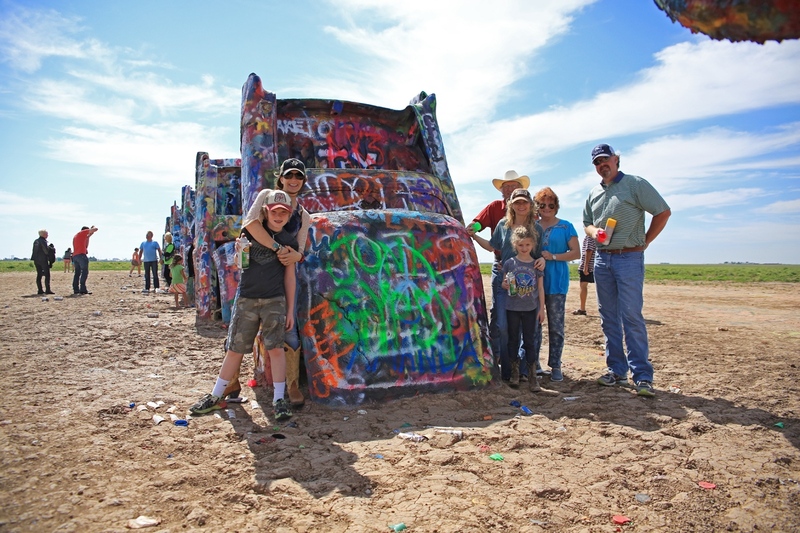 it was, in short, absolutely the most amazing, most epic, most fun, best ever family roadtrip OF ALL TIME. it was more than making good memories. it was a great adventure that we’ll never forget. 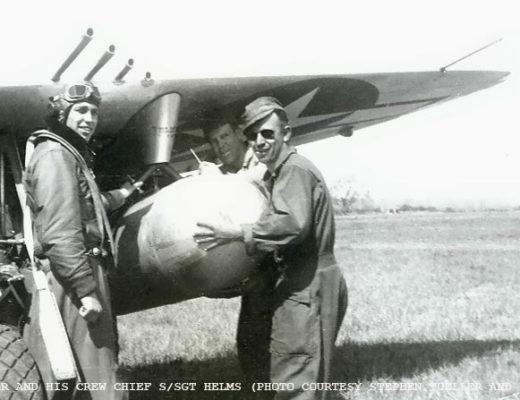 it didn’t involve amusement parks, or water slides… just days and days and days of road time. america, the beautiful. y’all may remember our epic roadtrip of last summer. 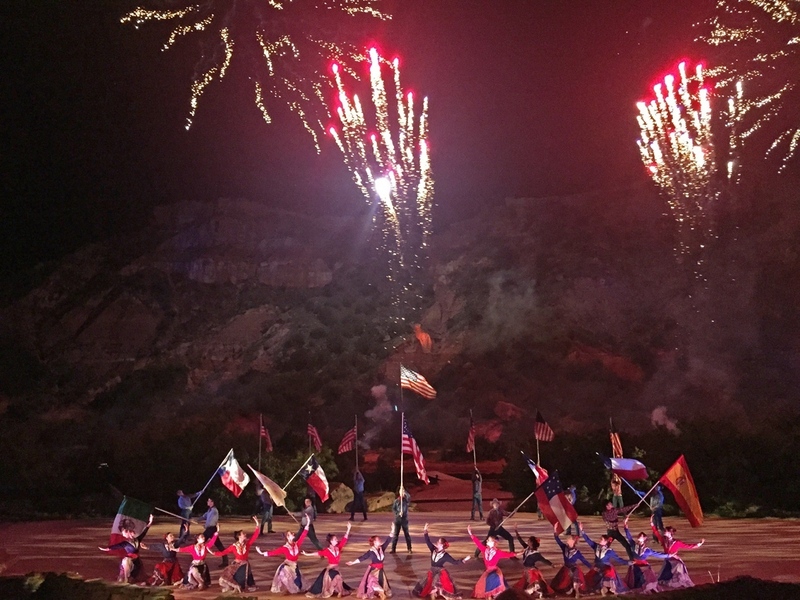 we never followed up on the “go west” blog with the recap of our trip, and now seems like the perfect time. except there is so much greatness to tell. so many pictures. so many great memories. thus, rather than 1 extremely long narrative (we’re talking longggggg), we’re going to break up our mother road rendezvous recap into several different blogs. different chapters if you will. let’s start at the beginning. buckle up, y’all. we’re going on a roadtrip. 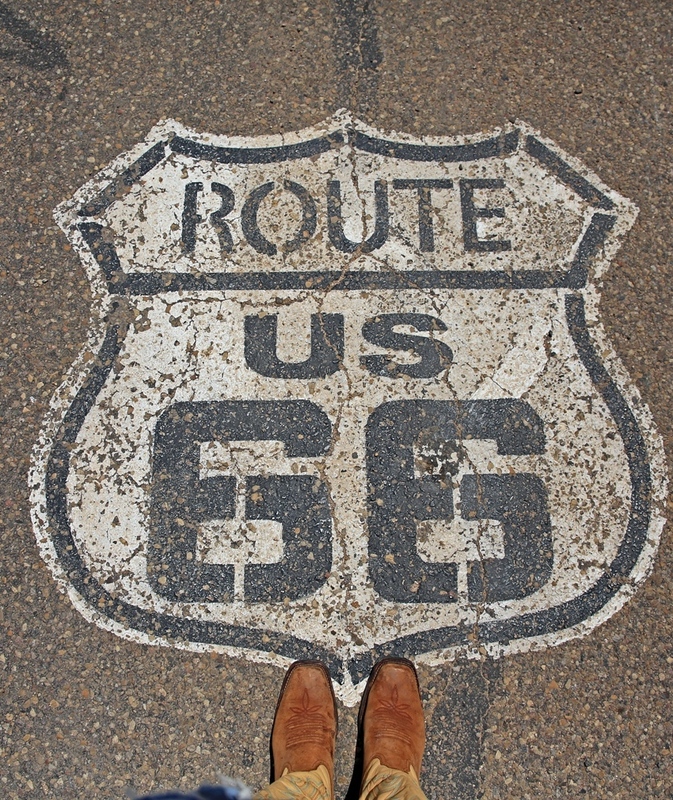 route 66. the mother road. the grand canyon. 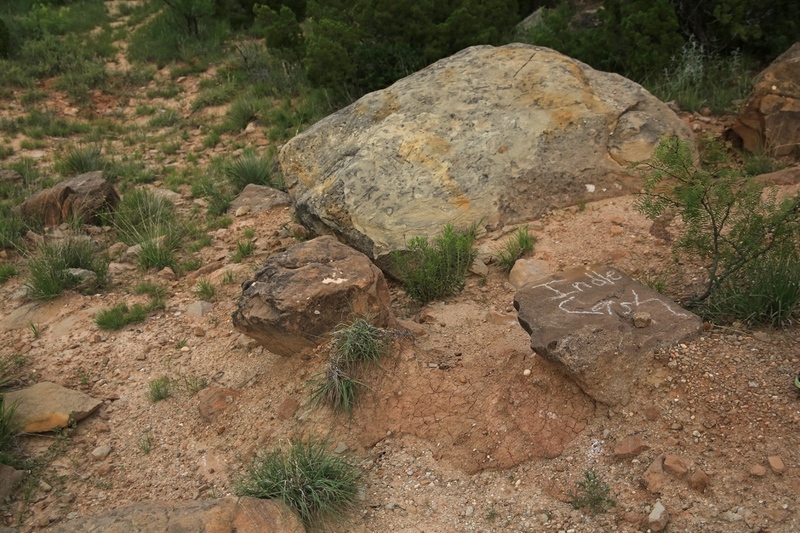 from round top, texas → las vegas, nevada. 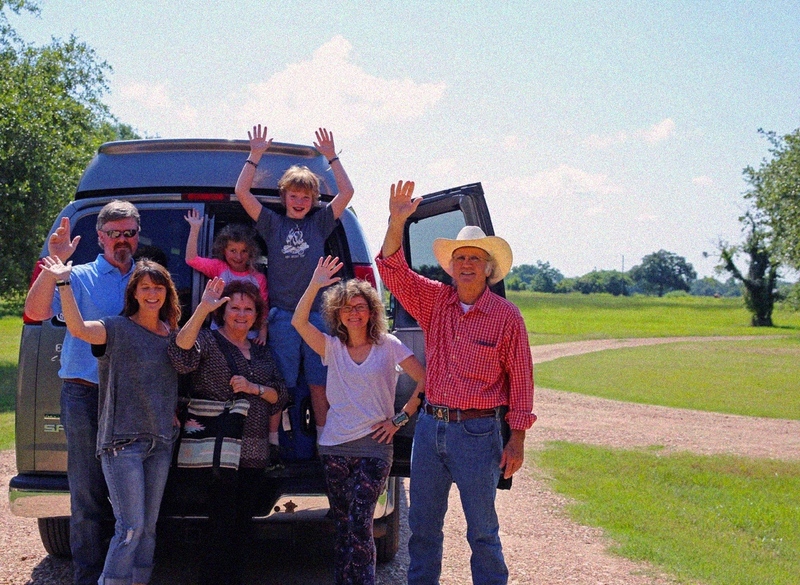 the whole family in 1 van for miles and miles and miles. anything and everything could go wrong. 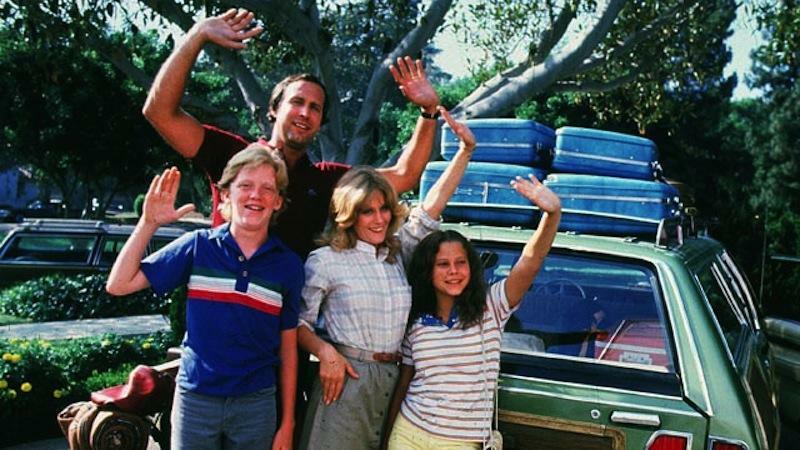 but armed with a clark griswold attitude, it was truly the best dang vacation of our lives. 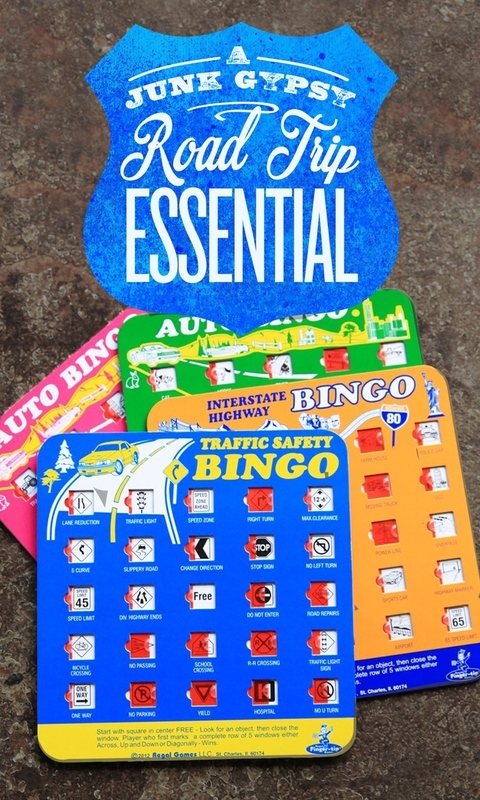 for this voyage, the van was loaded with car bingo and maps and amie’s pinterest-inspired destinations instead of amps and instruments. and we were off. 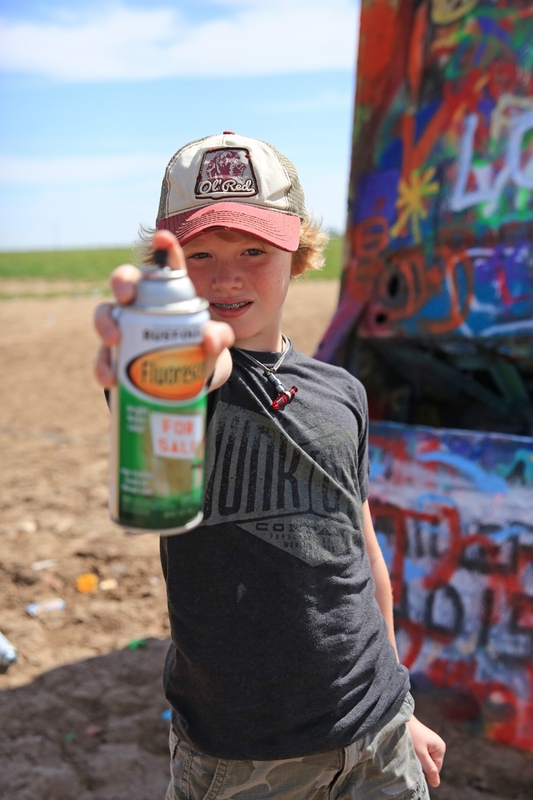 first stop: canyon, texas for the famous Texas Outdoor Musical , the Palo Duro Canyon, and Cadillac Ranch to kick off our route 66 journey. 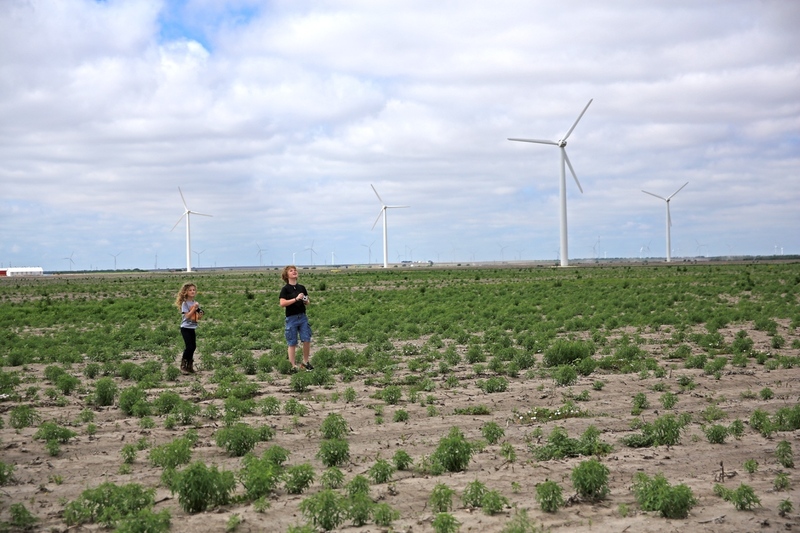 but first, we were entranced by the wind turbines of the panhandle. 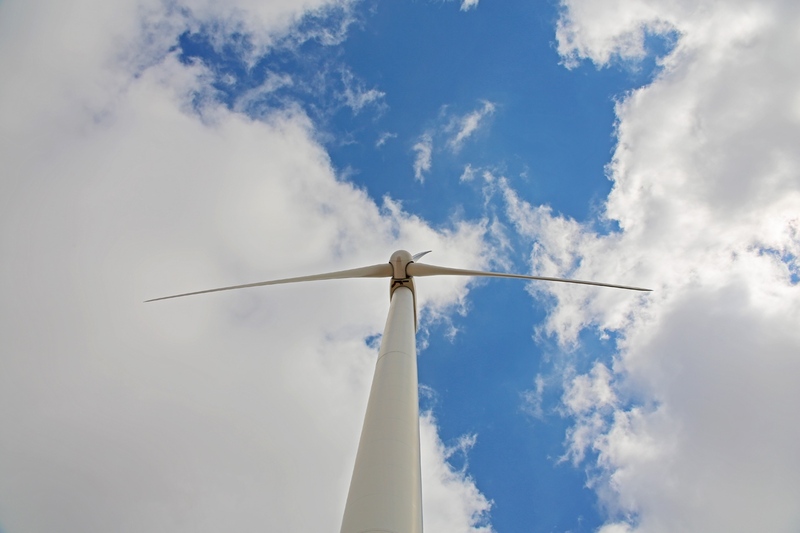 where wind is power. and power is money. 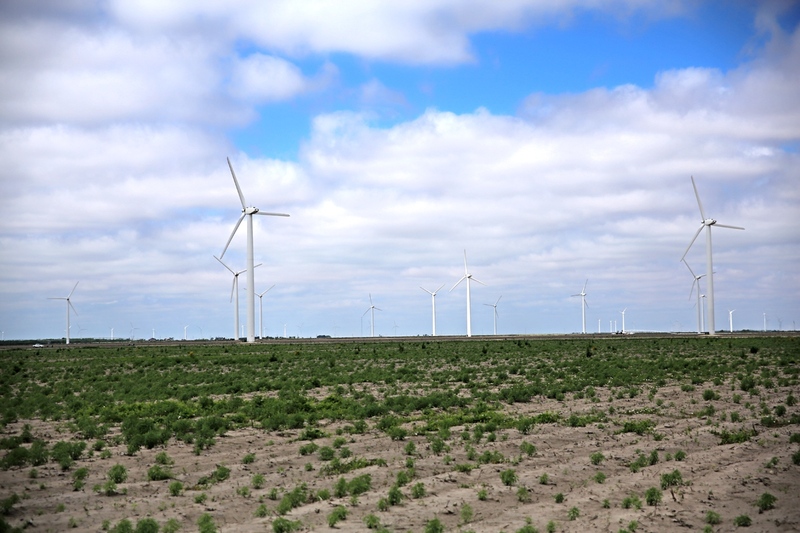 the turbines became a constant in the scenery from our van windows on this trip. but we never ceased staring at them in awe. 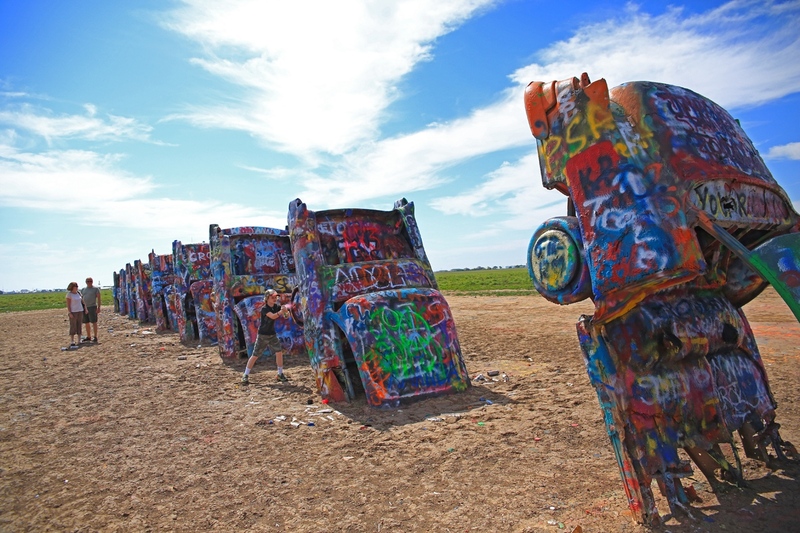 they would dot the horizon as far as the eye could see, from texas all the way to nevada. standing like grand, stoic, silent giants in the distance. 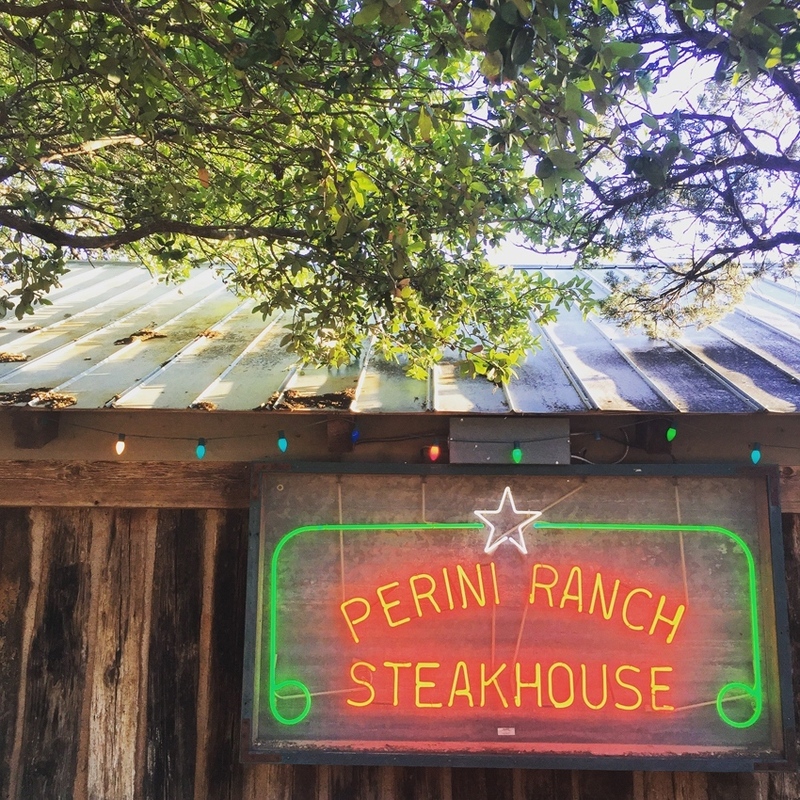 and while we were in this neck of the woods, we had supper at the famous perini ranch steakhouse. 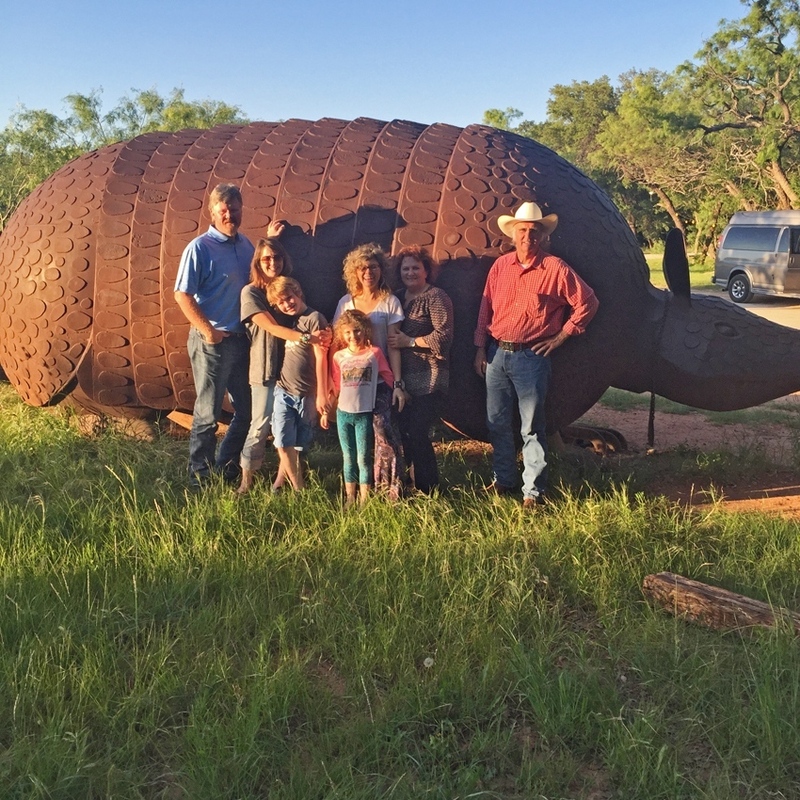 and of course, took our pic with the giant armadillo because it IS the state small mammal of texas and all. 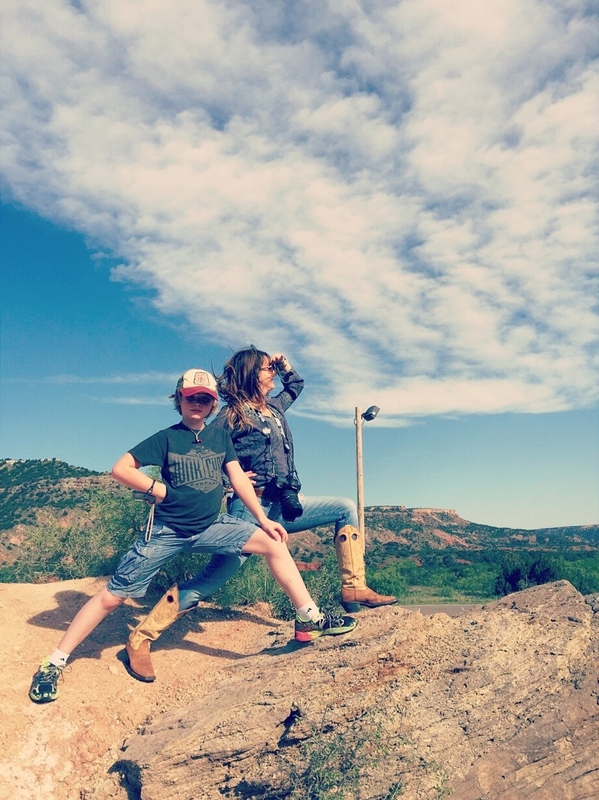 and truly, we implore you, what is a great vacation without tacky photo ops? 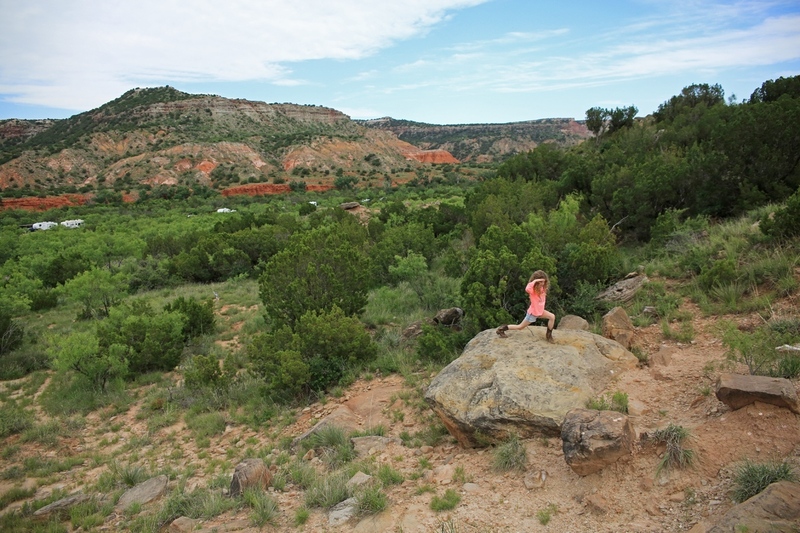 we made our way to the “Grand Canyon of Texas” … the Palo Duro Canyon. 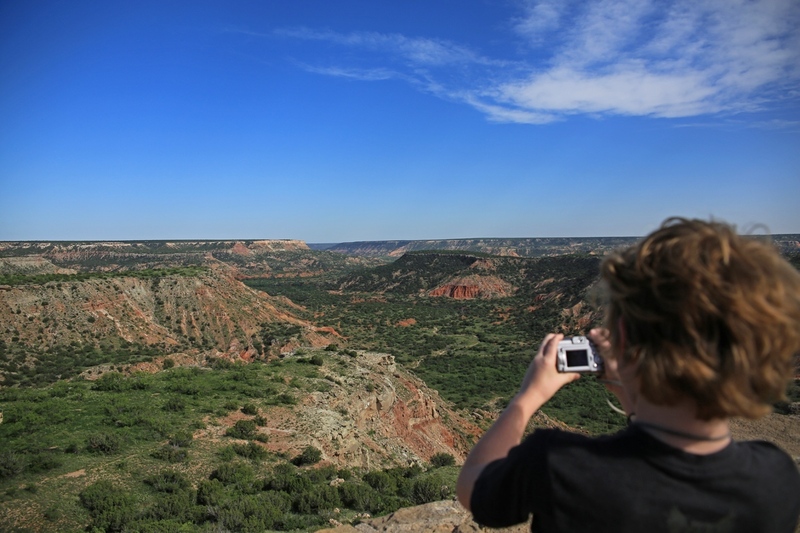 the second largest canyon in the United States. 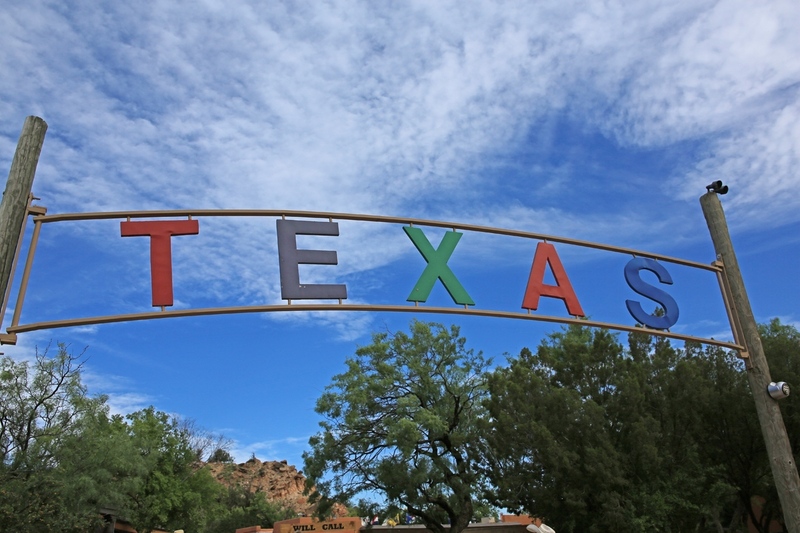 home of many early native american tribes, charles goodnight’s JA ranch, and the Texas Outdoor Musical. 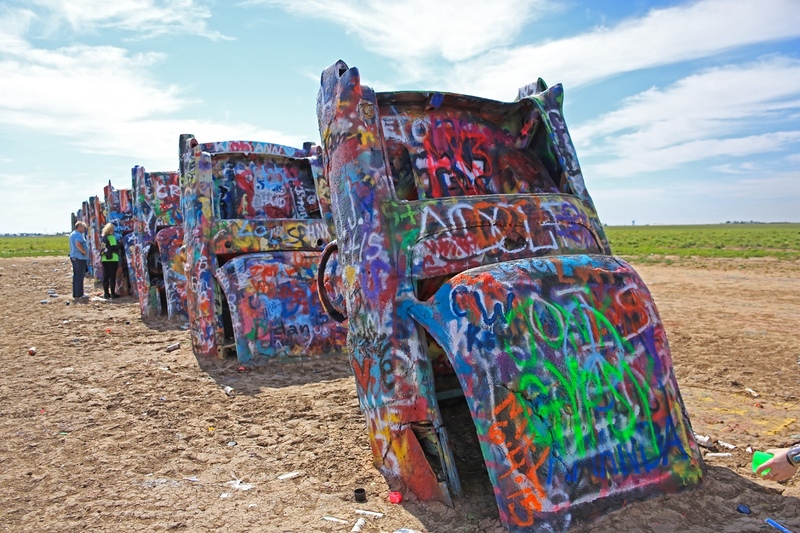 next stop on the list: Cadillac Ranch. 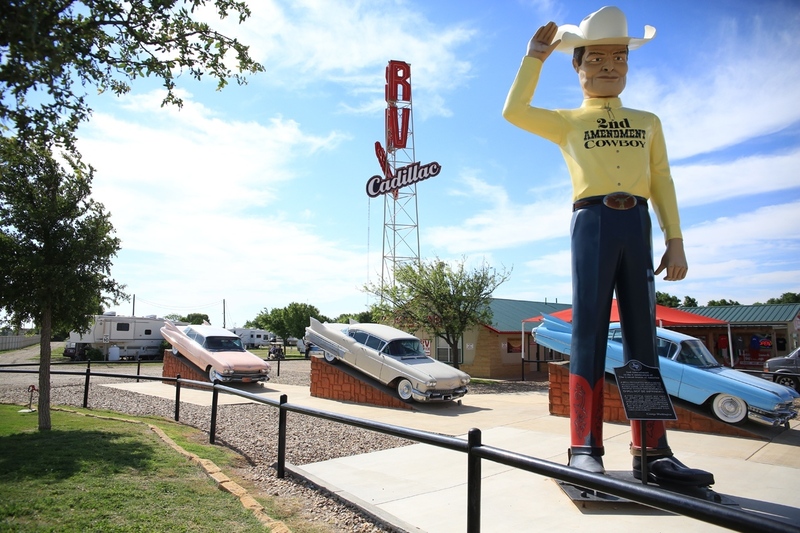 but first, we couldn’t resist this photo op…because in Texas, we have giant cowboys at RV parks. 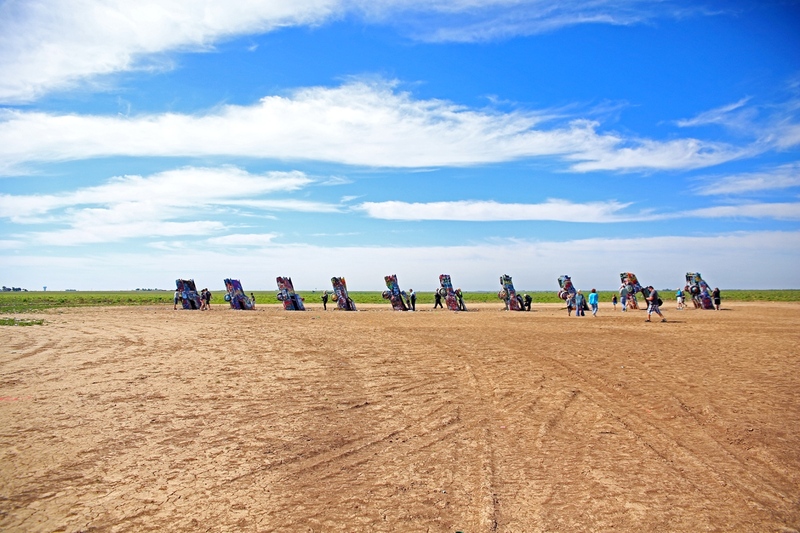 and then, behold…the famous Cadillac Ranch…because, naturally, cadillacs grow out of the ground, fin up, in corn rows on the side of the highway. 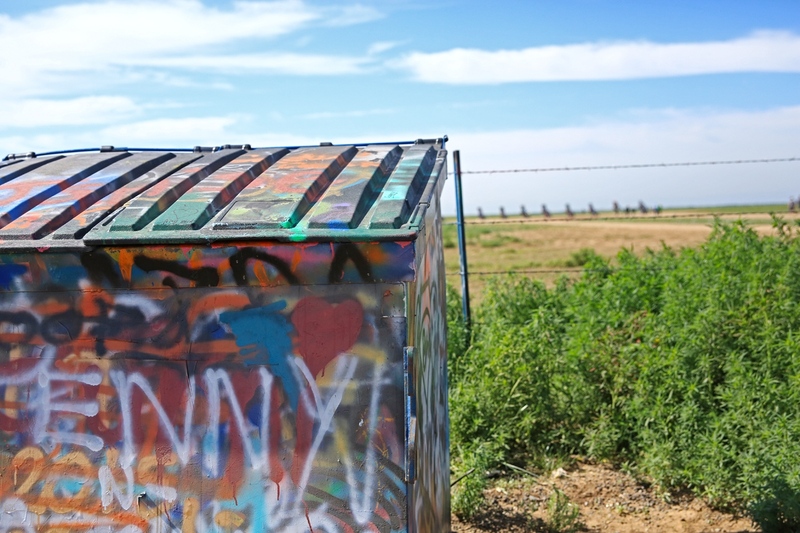 and yes, defacing the property with spray paint is a thing here. so we did what all self-respecting tourists should do and stopped at the nearest home depot, armed ourselves with plenty of ammo (aka. 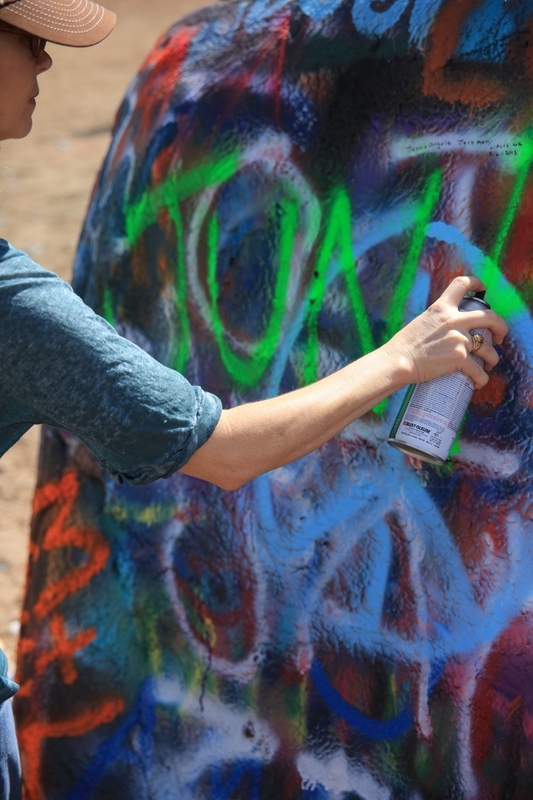 spray paint)…and became wannabe graffiti artists. 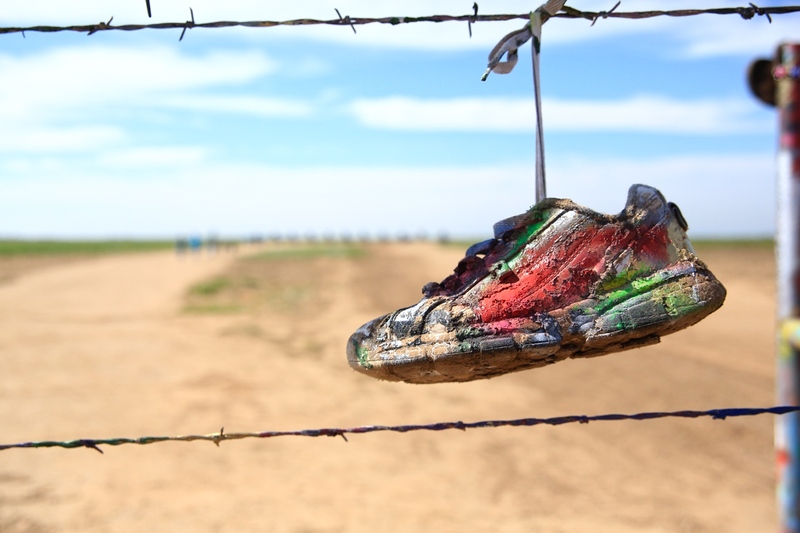 you won’t believe that this was spray painted right there on the ground as we were leaving. and i DID NOT DO IT. i’ve decided this was some kind of good luck sign. because it’s not every day i see my name somewhere. i mean, i was the kid who NEVER, EVER bought a souvenir with my name on it in a souvenir shop. 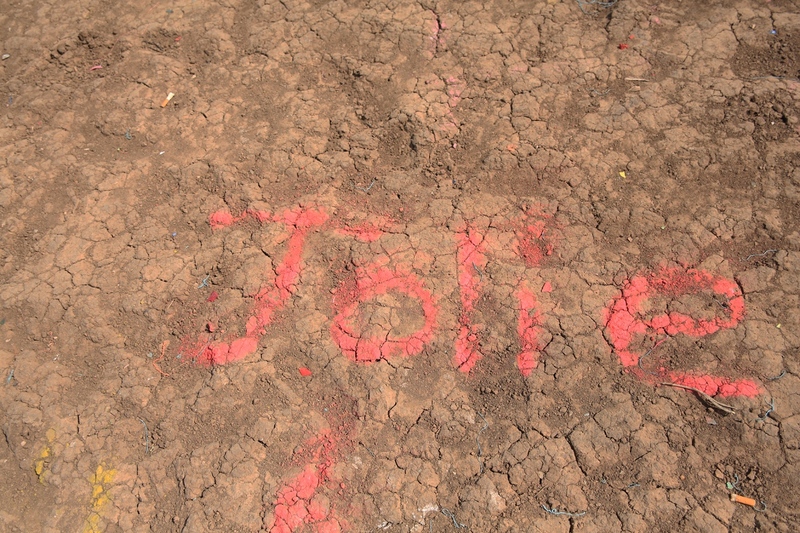 so my name in dirt was like striking gold. and then it happened y’all. 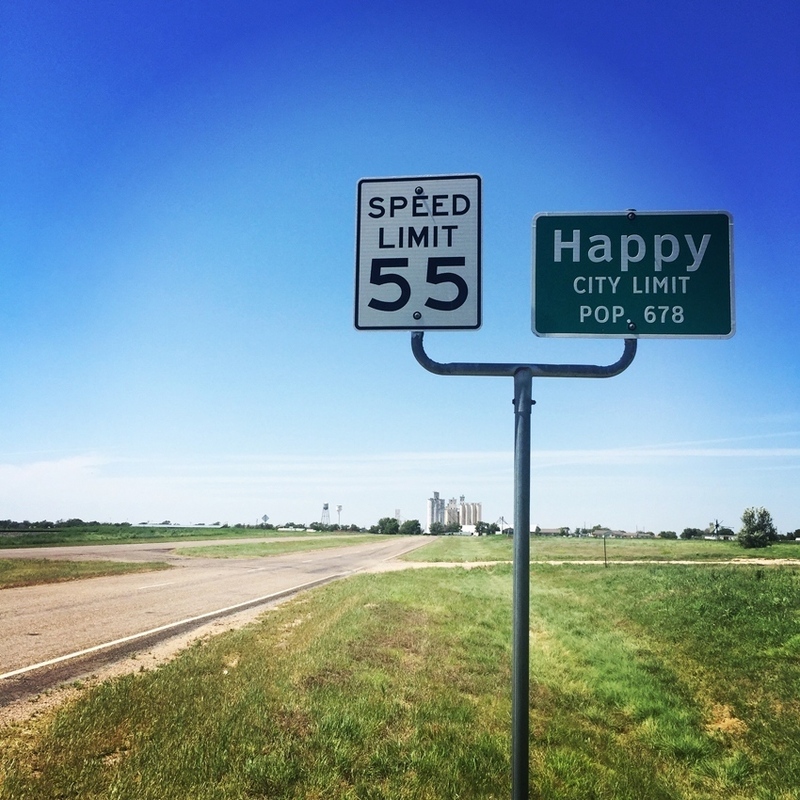 we were officially on route 66.
on the mother road. bound for the great american roadtrip. destined for the grand canyon. one of the wonders of the world. adventure was at our fingertips. the road was beckoning. the happy van was our magic carpet ride. clark griswold was our spirit animal. chapter 2 coming soon!! and chapter 3!!! Love it! Can’t wait to get the camper up and going so we can plan a road trip from Ohio to Texas!!!! When and where are you on tv? we took a little break to write our first book! 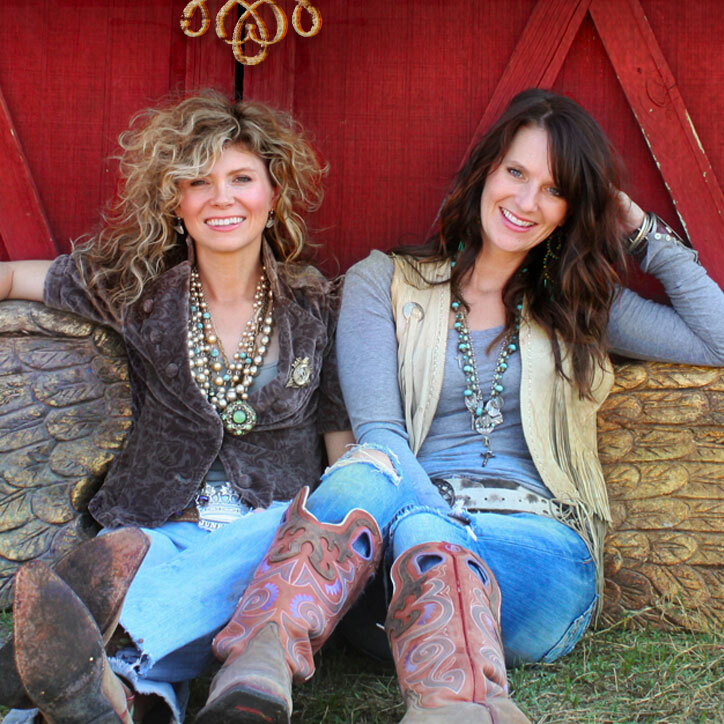 we’ll keep you posted on any new seasons! Enjoying the trip so far…looking forward to Chapter 2! Looks like you had a ball. 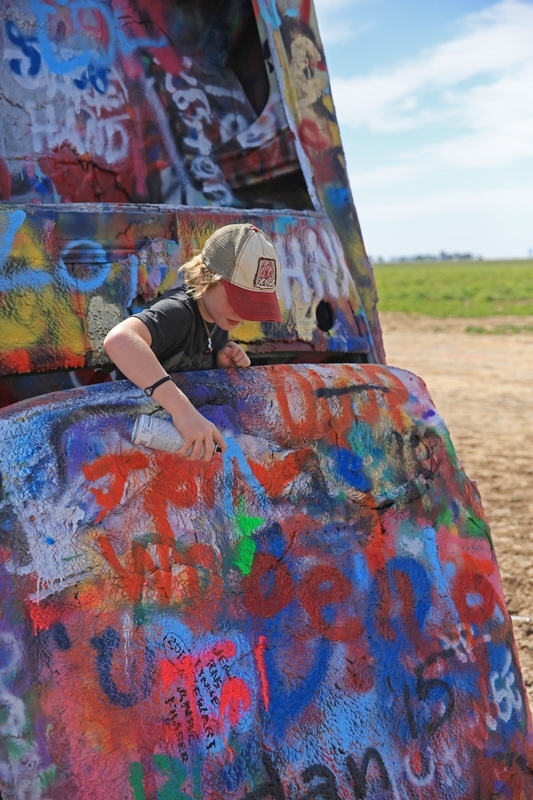 You can’t lose seeing the sights in Texas. Can’t wait to read about when you go pick up Aunt Edna and tie her to the roof of your van. Go Griswolds! Fabulous! I’m a Cali girl now but once a Texan, always a Texan. I have such good memories of all of the things that you pictured…. 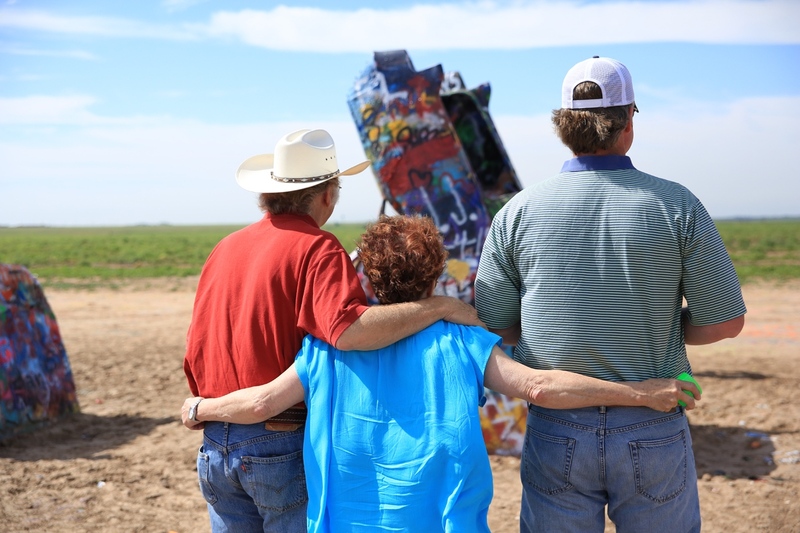 PDC, Texas, the musical, the giant cowboy in Canyon, Tx and of course that famous planting of caddies. 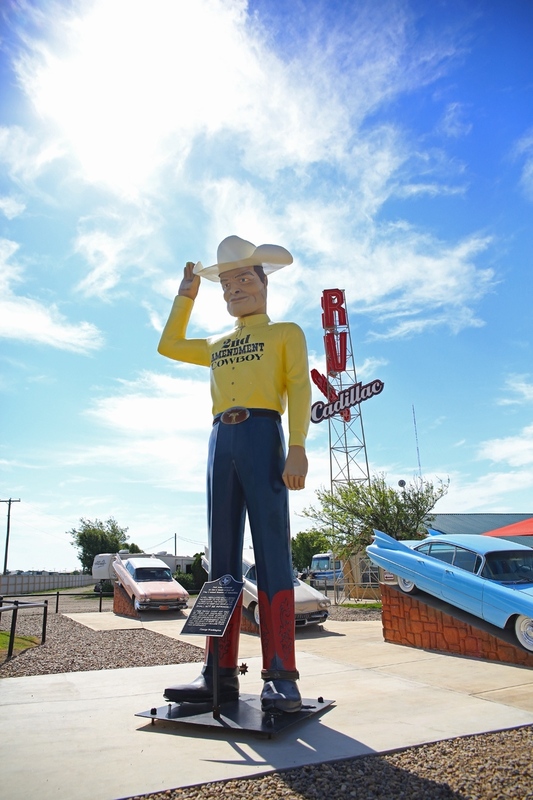 Amarillo is my hometown, thank you! ❤️?